• T-Shirts to the first 600 to register! 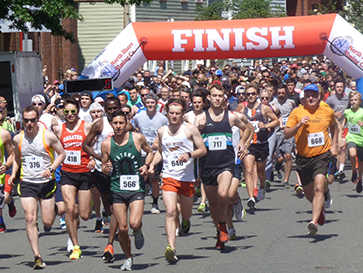 This 5k course is a new and very scenic route passing Charlestown’s historic BUNKER HILL MONUMENT, TRAINING FIELD, AND ST. MARY”S CHURCH. Start and finish at Charlestown Boys and Girls Club – 60 High St, Charlestown, Mass. 02129. Due to the difficult nature of the course, we will not allow runners to have dogs on the course.